More than 10 years after it debuted, Microsoft is finally bidding farewell to its Windows Vista platform. The company announced the end of Vista in a blog post on its website. This means that the company will end its support today. While the operating system was not highly popular in the market, it had to face huge criticism against many of its aspects. Let’s dive in to see some more details on the subject. Windows Vista was originally launched in January of 2007, five years after the company launched Windows XP. The new operating system introduced the new Aero UI elements that acted as a ground in the development of Windows 7. Due to its high system requirement, lack of driver compatibility at launch and other issues, Vista became a target of criticism. 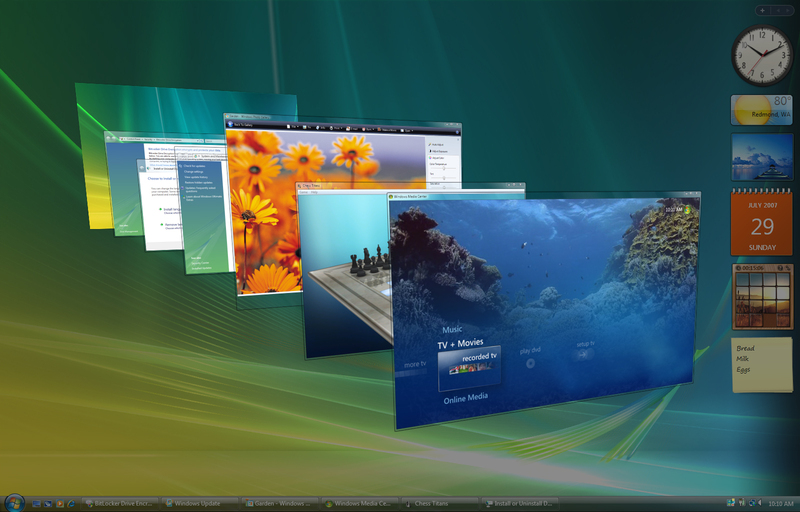 Windows Vista, codenamed Longhorn was thought to be a step ahead from its previous versions. The changes were introduced on both, the visual level as well as internal changes. Visually, Windows Vista boasted a more sophisticated, streamlined and a revolutionary interface compared to its previous versions. Internally, it introduced a new file system which would contribute in the performance department. While the end of Windows Vista was defined for some time, Microsoft ended its “mainstream support” back in 2012. After today, any extended support for the operating system will be ended. Nonetheless, if you’re using Windows Vista at the moment, the end of support does not mean that you will not be able to use the operating system any more. However, if you keep using Windows Vista after today, you would not receive any security updates, making your machine open to various viruses and malware attacks. In contrast to this, Microsoft recommends that users upgrade to a PC with Windows 10. If you’re up for it, Windows 10 is receiving a big upgrade today with the Creators Update. So if you haven’t really moved on from Windows Vista, now might be the best time to do so. While Windows Vista was not the best work from the company following heavy criticism and issues, it did help set foundations for the modern versions of Windows that we’re using today. So we bid farewell to Windows Vista, which will be remembered as an operating system that many users disliked. This is it for now, folks. What are your thoughts on Microsoft finally ending support for Windows Vista? How was your experience with the operating system? Share your thoughts in the comments.